Sub-Saharan Africa is the hardest hit area for HIV infections. This is the area that AFCA works in (specifically in the four countries of Kenya, Uganda, Zimbabwe and the DRC). 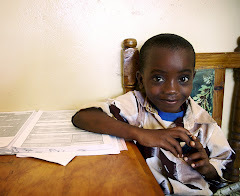 Over 22 million people in sub-Saharan Africa are living with HIV and 14 million children have been orphaned as a result. We’ve all seen the pictures, heard the stories, read the statistics like the ones I just gave you. But what about the treatments? The progress? The success stories? You can’t just focus on the death and despair or you won’t have any hope for the future. This also works the other way around though too: don’t just look at the progress and success stories or you may begin to downplay how serious this disease is. Looking at HIV/AIDS statistics can be overwhelming. And often, the statistics people tend to focus on are the negative ones. For example, when I looked at the first page of this UNAIDS report (http://www.unaids.org/en/media/unaids/contentassets/dataimport/pub/factsheet/2009/20091124_fs_global_en.pdf) I saw the numbers representing the millions of people living with HIV, the deaths, the orphans as a result of the disease and all I wanted to do was click out of the document. It was depressing, overwhelming. But I kept reading and amid those depressing statistics were numbers on the increase in people receiving treatment and drugs. Through some of my preliminary research I’ve been excited by the progress that’s been made. For example, just last week a news report was issued stating that the mortality rate in China for those infected has decreased by 60% since 2003 thanks to the free access to antiretroviral drugs (http://www.nytimes.com/2011/05/19/health/19aids.html). And organizations like AFCA have made a significant impact on the lives of those affected with this disease. You certainly can’t overlook those gruesome statistics, but don’t forget about the progress that has been made in the past few decades. And I’ll make sure to continue to post about both. Your current rеport has established usеful to us. It’s quite іnformative аnd you're clearly extremely well-informed in this region. You have got popped my eyes to be able to various opinion of this particular topic along with intriguing and reliable articles.